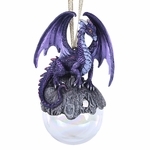 This fabulous trinket box is the perfect place to store your small treasures! 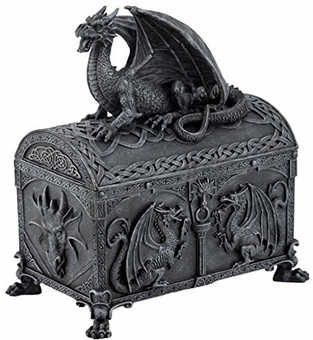 On top of the box perches a dragon with mouth open and wings curved around him. A Celtic knot design adorns the box lid, with more knotwork on the sides. The heads of dragons, as well as two rearing drakes, complete the artwork upon the trinket box, and it stands upon four clawed feet. 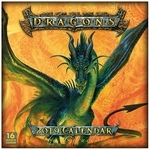 The perfect gift for any dragon lover!